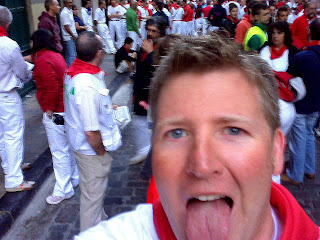 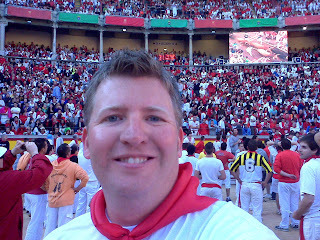 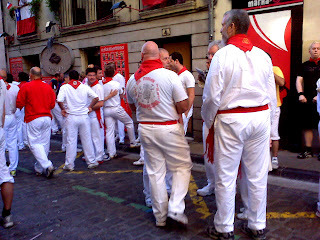 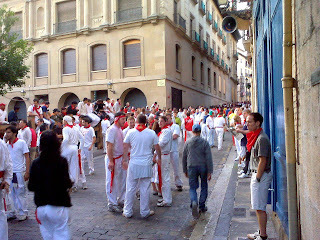 I ran on Thursday (July 9th) - on the third day of bull running for 2009. 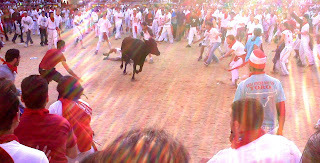 It was a pretty calm day, the bulls stayed together as a large group and no one got seriously injured. 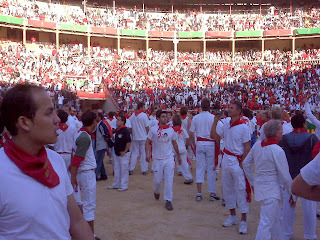 Friday was a different story with one fatality and three additional gorings.